Affiliate Marketing is a great way to increase sales for any e-commerce website because, essentially, it's like having your own sales force working on a 100% commission model. Affiliate marketing programs run on a pay-for-performance model where commissions are only paid out after a sale is made...opposite of Pay-Per-Click advertising, where the payment is made prior to a sale being made. The process is: 1) Potential customer visits affiliate site, 2) Affiliate site directs visitor to partner, 3) Partner compensates affiliate for any purchases made (see image below). This provides a great, easy way to build out a predictable positive return-on-investment (ROI) because commissions will only paid as a percentage of each sale. HOWEVER, there are a few things to be wary about when setting up a new affiliate marketing program or taking over an existing program. The biggest thing to watch out for is COUPON AFFILIATES. Coupon affiliates have a revenue model that, most of the time, looks for ways to "poach" a sale from an affiliate. This "poaching" occurs when a potential customer gets to the checkout page of an e-commerce site and sees a "Enter your promo code here" box then performs a Google search for a coupon before making the purchase. 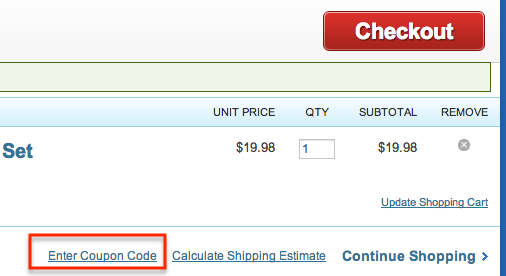 The coupon affiliate's site shows up in Google and provides a coupon code for the customer to use. Therefore, the affiliate ends up having to pay for NOT ONLY the discount of the coupon but for an affiliate commission payout to the coupon affiliate. To explain this further, I use the analogy of a "brick-and-mortar" business that has customers visiting its physical location. Visitors found there way to this physical location through a multitude of marketing and advertisement channels....they walk into the business to make a purchase but see people outside the store with signs that say "GET A COUPON FOR 15% OFF YOUR PURCHASE". They step outside for a minute to grab that coupon then continue to make their purchase. Once the purchase is made, the people outside who gave them the 15% off coupon require a commission for driving that visitor's purchase. Seems unfair, doesn't it. This process is not good for ANY affiliate marketing program because the affiliate is paying a commission on a discounted sale that was already happening. The whole point of having an affiliate marketing program is to drive new visitors to a site who would not have found the site without the affiliate publisher helping. This organic process of a user seeing an affiliate ad on a website/blog then clicking through to make a purchase is exactly how an affiliate marketing program should work. This ensures that the affiliate publishers are driving new visitors to your site, incremental revenue, and, ultimately, a positive ROI. Terms of Service - create a Terms of Service document that describes the types of affiliate publishers who are welcome to your affiliate program. Be sure to exclude any coupon sites from this list. Stop Coupon Affiliates OR Get Rid of Them Completely - Either contact coupon affiliate partners so that they understand your accepted practices OR just get rid of all coupon sites completely in order to prevent any commission "poaching"
Affiliate Marketing can certainly be used as a powerful online marketing tool for any e-commerce website...you just need to build a campaign the right way and minimize the interactions with any coupon websites. It may take a lot longer to build a program using quality content websites and blogs, but it is a much more long-term and profitable approach.